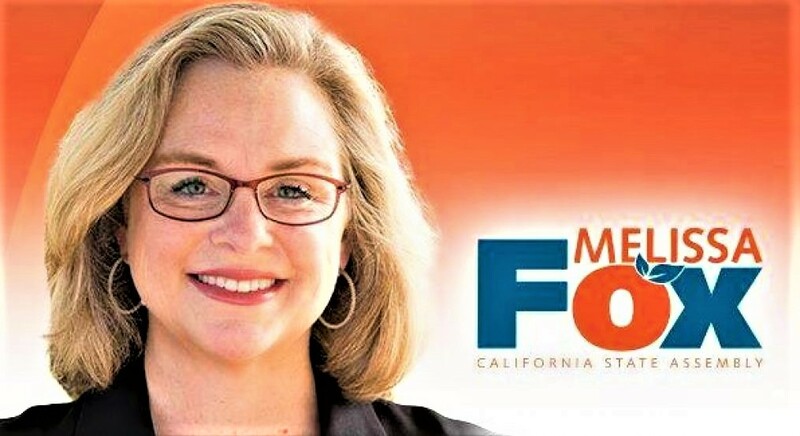 Irvine, CA – On December 4, 2018, the Irvine Transportation Commission unanimously adopted Councilmember Melissa Fox’s initiative for a comprehensive “Stop Sign Compliance Study” for the purpose of increasing the safety of Irvine streets. Several members of the public spoke at the meeting to support Councilmember Fox’s request for this intensive study. They spoke of accidents and near misses caused by people running stop signs. The individual Transportation Commissioners all had personal experiences with stop sign runners causing accidents and even fatalities in their neighborhoods. Irvine Police Department (IPD) Officer Brian Smith told the Commission that IPD issued 2000 stop sign violation citations this year-to-date; there have been 139 vehicular collisions involving stop-sign noncompliance; five of these collisions have resulted in an injury; IPD conducts high-visibility enforcement in areas during rush hour; and that high-visibility enforcement can net 50-55 citations over a two hour morning rush period. City staff was directed to study how extensive “rolling stops” are at stop signs in Irvine; how many accidents result from “failure to yield” violations at stop controlled intersections; determine whether electronic enhancements to stop signs, like flashing beacons, improves compliance; review the current and best thinking from the nation’s police, traffic engineers, and public safety professionals on increasing stop sign compliance and traffic safety; determine whether other cities are achieving better stop sign compliance and, if so, what are they doing differently from Irvine; and to work with the Irvine Police and Public Safety to determine whether the current strategies used for stop signs compliance are as effective as can be. City staff will determine whether the study can be performed in-house or whether an outside consultant familiar with this type of work is needed to do the study. When the study is completed, the Transportation Commission will develop recommendations for the City Council. Residents of Irvine are very concerned — and rightfully so — about their safety and the safety of their children because of the consistent failure of drivers to come to a full and complete stop at our stop signs. Many of you have expressed your concerns to me and I have read what you have posted on social media. As I’ve said before, Irvine is world-famous as a safe place to live and raise our families. But it won’t stay that way unless all Irvine’s motorists obey the stop signs and respect pedestrians’ right-of-way. How widespread is the problem of drivers not stopping at stop signs in Irvine? Are there any visibility problems with our stop signs? Would center-mounted stop signs help with compliance? Would advanced warning stop signs help with compliance? Would lights around stop signs, or flashing beacons, increase compliance and public safety? Are other local cities seeing better stop sign compliance? If so, what are they doing differently from Irvine? What measures have the Irvine Police Department undertaken to increase stop sign compliance, and what recommendations does the Irvine Police Department have to increase stop sign compliance and better driver behavior? What is the current and best thinking from the nation’s police, traffic engineers and public safety professionals on increasing stop sign compliance and traffic safety? Of course, you may bring your own questions and suggestions for the Commissioners and City staff to the meeting. You can also contact Transportation Commissioner Ken Montgomery with your concerns, questions, and suggestions. Send him an email at kenmontgomery@cityofirvine.org. Commissioner Ken MontgomeryTraffic is a retired Civil Engineer with more than 40 years of experience in managing public works and trafﬁc and transportation issues as Director of Public Works for three Southern California Cities: Norwalk, Redondo Beach, and Laguna Niguel. Ken retired from the City of Laguna Niguel in 2009 after 18 years as that City’s ﬁrst Director of Public Works/City Engineer. He holds a degree in civil engineering from the University of Wisconsin, Madison. Ken and his wife Judy have resided in Irvine for 39 years and have lived in the same Woodbridge home since 1980. He been closely following transportation issues in Irvine for decades and was appointed to the Irvine Transportation Commission by Councilmember Melissa Fox in May 2017. He is looking forward to seeing you and hearing from you at the Transportation Commission meeting! Have a Safe, Happy, and Crime-Free Holiday: Crime Prevention Tips from the Irvine Police Department! As your Irvine City Councilmember, it is important to me that you and your family have a safe, happy, and crime-free holiday season. If you’re out shopping for holiday meals or gifts, be sure to lock your car and roll up your windows. Don’t leave your purse, wallet, cellphone or other valuables in your vehicle in plain view. When possible, keep your purchases on you while shopping instead of leaving them in your car. If you need to leave these things in your car, the best place is in a secure, locked trunk. If you are having packages sent to your home, bring them inside as soon as possible. If you won’t be home to receive your deliveries, consider having items delivered to your workplace, or ask a friend or trusted neighbor to pick it up for you. Use tracking numbers and delivery notifications to track your shipments. Be mindful when displaying gifts at home. Try not to leave them in places where they will be visible from the outside. After holiday dinners and parties, always make sure you have a sober, safe ride home. If you are traveling out of town, make sure your house appears occupied by using timers on lights and televisions, and exterior motion detectors outside. Ask a friend or trusted neighbor to check on your house and collect your mail and newspaper. Be careful what you post on social media. Avoid posting your holiday travel plans or pictures of you and your family while you’re away, so that your absence isn’t exploited by untrusted social media followers. Emergency: Dial 9-1-1 for Emergencies and crimes in progress. Posted in Uncategorized	| Tagged City of Irvine, Councilmember میلیسا فاکس یہاں کلک کریں ڈاؤن لوڈ، اتارنا کرنے کے لئے Councilmember میلیسا فاکس تعارف ای میل: melissafox@cityofirvine.org, 爾灣警局, 美国未来的中国领导人, 美國未來的中國領導人, 警察局长, 迈克·哈默, IPD, Irvine, Irvine California, Irvine CERT, Irvine City Council, Irvine City Hall, Irvine families, Irvine first responders, Irvine Police, Irvine Police Association, Irvine Police Chief Mike Hamel, Irvine Police Christmas, Irvine Police Department, Irvine Police Headquarters, Irvine Police HQ, Irvine population, Irvine public safety, irvine safety, Irvine Police Department's Patrol Division Detective Bureau, 시의회 의원 멜리사 폭스, melisafoxblog.com, Melissa Fox, Melissa Fox blog, Melissa Fox for Irvine, Melissa Fox Irvine, melissafoxblog, melissafoxblog.com, melissajoifox, Mike Hamel, Mike Hamel Irvine, Nghị viên Melissa Fox, prevent crime Irvine, prevent holiday crime Irvine, prevent package theft Irvine, Prevent theft Irvine, 尔 湾, 市議員 梅利莎福克斯, 市議員梅利莎福克斯, 市议员梅利莎福克斯, 一員メリッサ・フォックス, 中国美国, 中國美國, العضو في المجلس ميليسا فوكس, عضو شورای ملیسا فاکس. Two days ago I learned that restrooms at Irvine Valley College had recently been defaced with anti-Semitic graffiti (swastikas). I immediately relayed this information to Irvine Police Chief Mike Hamel. Chief Hamel assured me that the Irvine Police Department would investigate and get back to me ASAP. Recently, the Irvine Police Department became aware of an incident at Irvine Valley College (IVC) in which anti-Jewish sentiments were the subject of graffiti on campus. Additionally, there was an incident in which fliers for a Muslim group were defaced. The Irvine Police Department is working closely with IVC campus police and administration to investigate these incidents. To address concerns on campus related to these incidents, IVC will release the following statement from Chief Hamel today. The statement will be distributed to students, faculty and staff. There have been no media inquiries related to this incident. The Irvine Police Department has been made aware of recent incidents of graffiti vandalism on campus, as well as the defacing of college club fliers. IPD is working closely with the Irvine Valley College Police Department to thoroughly investigate these incidents. The Irvine Police Department has long supported IVC campus police in the goal of providing a safe campus for staff, students and visitors. As partners in law enforcement, IPD provides additional resources in support of campus police whenever we are called upon, including these recent incidents. The Irvine Police Department stands with President Roquemore, the Irvine Valley College Administration, Chief Meyer and IVC campus police in condemning any acts of vandalism or defacement on campus, especially those that may appear to be directed at specific groups. We recognize that Irvine Valley College is committed to providing an academic and work environment that respects the dignity of all individuals in the spirit of a diverse, vibrant and all-inclusive campus community. I am committed to continuing IPD’s close collaboration with IVC campus police to maintain the highest levels of safety on campus. Remember that we rely on you, the members of the IVC community, to be our eyes and ears on campus. If you see something suspicious, please immediately report it to campus police at 949-451-5234. You can also call the Irvine Police Department at 949-724-7000. In an emergency, always dial 9-1-1. The Irvine Police Department and IVC campus police will provide updates on these incidents in the event of any new developments that we are able to share. If you have further concerns about this case and wish to communicate with IPD directly, please contact Operations Commander Noelle Smiley at 949-724-7025 or nsmiley@cityofirvine.org. Please rest assured that while these recent incidents are disturbing, we are not aware of any imminent danger to the IVC community or the City as a result of this activity. Thank you, Chief Hamel and the Irvine Police Department, for your swift response and commitment to keeping all of Irvine safe.